Manzanita Landscaping is a family owned, full service landscaping company proudly serving the Prescott area for all your residential and commercial landscaping needs. Let their experienced team of designers, horticulturalists and certified irrigation and maintenance personnel help you build a distinctive outdoor environment that will enhance your home’s beauty and increase your property value. At Manzanita Landscaping they offer a wide variety of landscaping services that include landscaping plans with details and specifications, irrigations systems, landscaping renovations and residential and commercial landscaping management. With their experience in all aspects of the landscaping and irrigation industry we provide the highest quality professional landscaping services in the Prescott area. Contact Manzanita Landscaping to learn more today! For 40 years Phoenix pizza restaurant, Streets of New York has continued to bring their guests the delicious taste they crave for Pizza, Pasta, Subs and italian dishes. In 1976, their Family relocated from the east coast to the “Valley of the Sun” and brought along Italian dishes and homemade recipes created in our own family kitchen. Growing one restaurant at a time, they have continually work to perfect the taste and appeal of back east Italian favorites. To learn more about Streets of New York, visit www.streetsofnewyork.com today! The business consulting services the Jones Business Solutions offer include training and workforce development, export assistance and market diversification as well as grant writing. To learn more about Jones Business Solutions, contact them today to learn more! The Notre Dame Marching band has a long tradition of providing music and pageantry for the Notre Dame football games. Founded in 1842 by Rev. Edward Sorin, C.S.C. the band continues to lift the spirits of students and provide music for special occasion. In addtion to the marching band, over 500 student musicians also participate in Notre Dame's concert bands, jazz bands, section ensembles and varsity bands. Membership is open to students and graduate students at Notre Dame, Saint Mary’s College, and Holy Cross College and student financial aid is available. Notre Dame Band Travel options are part of the band program. From Marching and Varsity band travel to international concert band travel, Notre Dame students and graduate students can choose the type of travel they are interested in. Notre Dame also offers an outreach program Bandlink, that offers music and band instruction to local schools which may not have the means to offer the programs. In January of 2009, the Notre Dame Band expanded the Bandlink program and teamed with the Salvation Army of St. Joseph County to provide a unique opportunity for underprivileged children in the South Bend community. 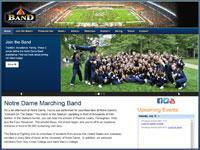 Click here for more information about The Notre Dame Marching Band! Limitless Potential, Lifetime of Success! The Montessori Academy at Edison Lakes (TMA) is an Indiana private school dedicated to providing an intellectually challenging, dynamic education at the Toddler through Junior High levels. Established in the fall of 1969, The Montessori Academy, began as an American Montessori affiliate under the name Little Flower Montessori, located in the basement of Little Flower Church in South Bend, Indiana. 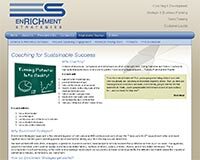 Families were drawn to this wonderful school, and enrollment rapidly grew. TMA is the first and only dually accredited Montessori School in the state of Indiana, with accreditations from the American Montessori Society (AMS) and from the Independent School Association of Central States (ISACS). For more information about The Montessori Academy of Edison Lakes contact them today! Advantage Plumbing, Inc. a full service plumber in Niles, Michigan. They provide plumbing services to: Niles, Michiagan; South Bend, Indiana and the surrounding Northern Indiana/Southern Michigan area. Established in March of 2000, Advantage Plumbing is locally owned and operated and they carrry a full line of high quality products such as Nature's Miracel, Reehm and Delta. To learn more about Advantage Plumbing, contact them today! Welcome to Horizon Bank of Northern Indiana. 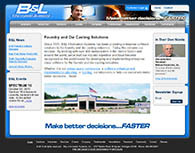 Our Web site features Online Banking access, Checking Accounts, Savings Accounts and Sensible Advice. Contact us for Personal Banking, Business Banking, Mortgage Services and your Investment & Trust management. Horizon Bank, Exceptional Service, Sensible Advice.